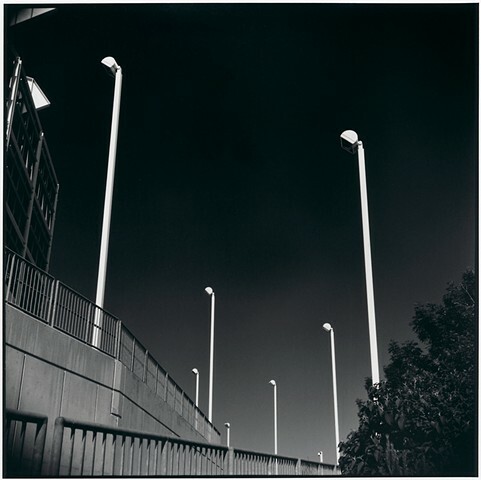 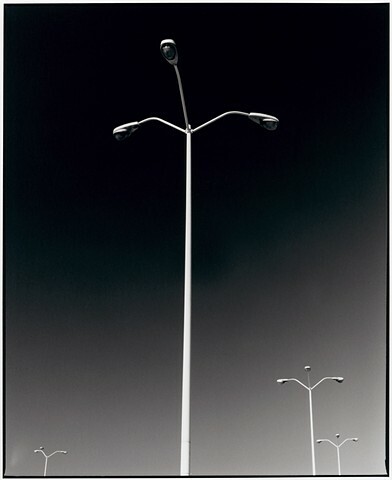 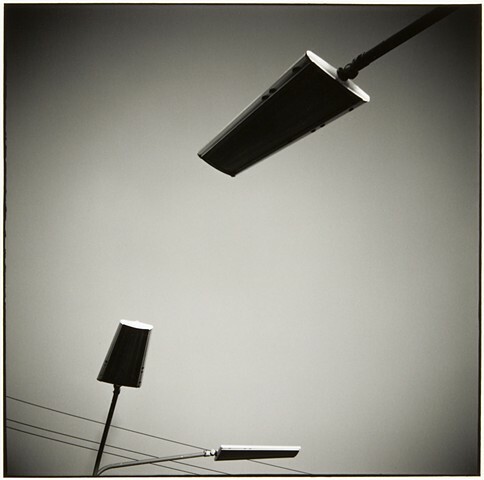 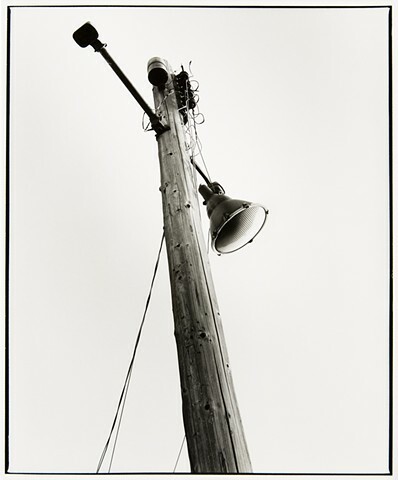 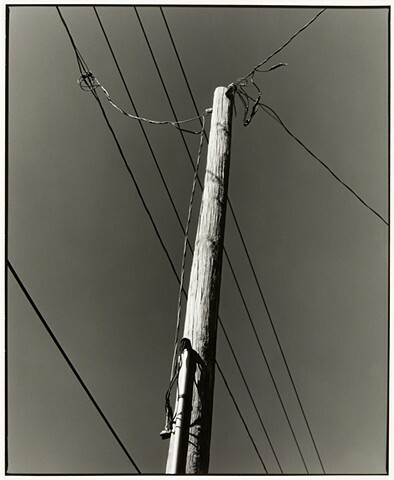 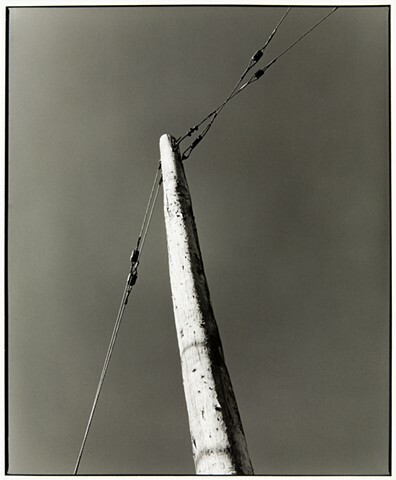 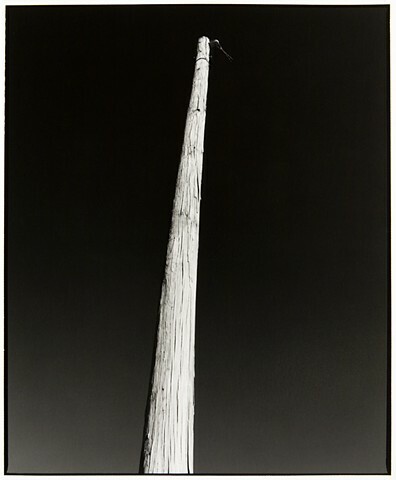 The Connections series is born of a fascination with utility poles, lampposts, and the like, as ubiquitous everyday objects, at once well-known and unconsidered elements of contemporary life. 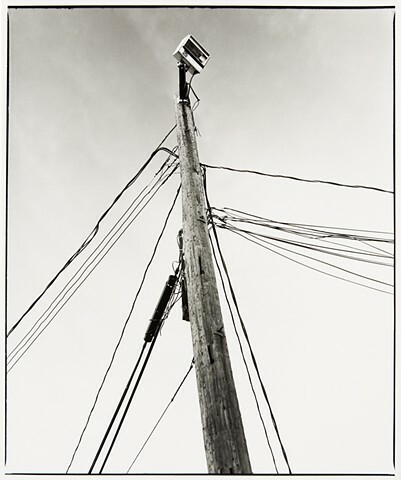 The vantage points from which I photograph each subject removes it from its usual visual context, excluding buildings, trees, and recognizable landmarks, formally isolating the hardware of modern utilities. 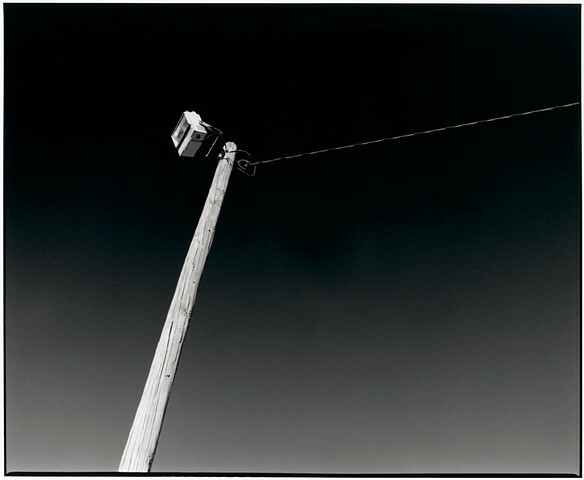 Far from a typological record, I seek to animate that which I photograph as metaphor to the human condition. 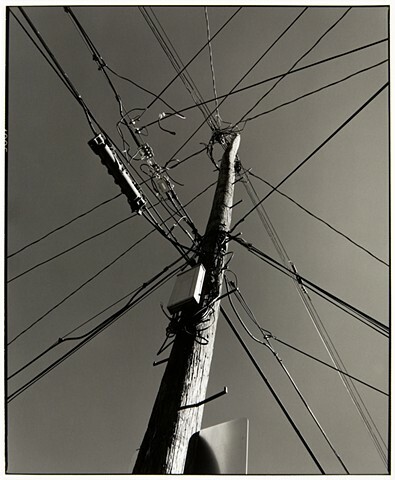 Wires stretching to, or from, the edges of the frame might be telecommunication lines transferring information, electrical cables supplying energy, or tension cables providing support.telecommunication lines transferring information, electrical cables supplying energy, or tension cables providing support.